Can you relate to any of these problems with communication? Communication with the person you love can be hard. One of the most common reasons couples seek couples counseling is to improve their communications skills. When we’re feeling distant, there’s been a big argument, or when we try to talk about improving our relationship, communication can often break down. If you’re having difficulty communicating with the person you love, it can be really helpful to seek support from a qualified couples counselor. However, the most effective “communication skills” may just come in a package that surprises you. One person speaks at a time, the other listens and repeats back to the speaker so hopefully the speaker feels heard. Then, you swap. Using your calm voice rather than your angry voice, making eye contact instead of looking away, touching your partner gently and lovingly. Do couples really use this stuff? Most of us naturally use good communication skills with people we meet going through our day. We are smart enough to know how to use a friendly tone of voice and we naturally prevent and avoid many conflicts with others at work, school and with friends. Because relationships with strangers, coworkers and casual friends carry only a fraction of the importance to us as our primary love relationships. Couples can practice using communications skills with one another when they feel close, secure and generally pretty happy in their relationship. With some coaching and support, they may even be able to work through a disagreement pretty well using communications skills. Research shows, however, that those skills don’t last. Eventually, sooner or later, we lapse back into the patterns I described at the beginning of the post, most commonly in the middle of a fight. I’ve interviewed Marta Kem, Denver Marriage and Family Therapist, my colleague and an affiliate therapist of Thrive Family Services. 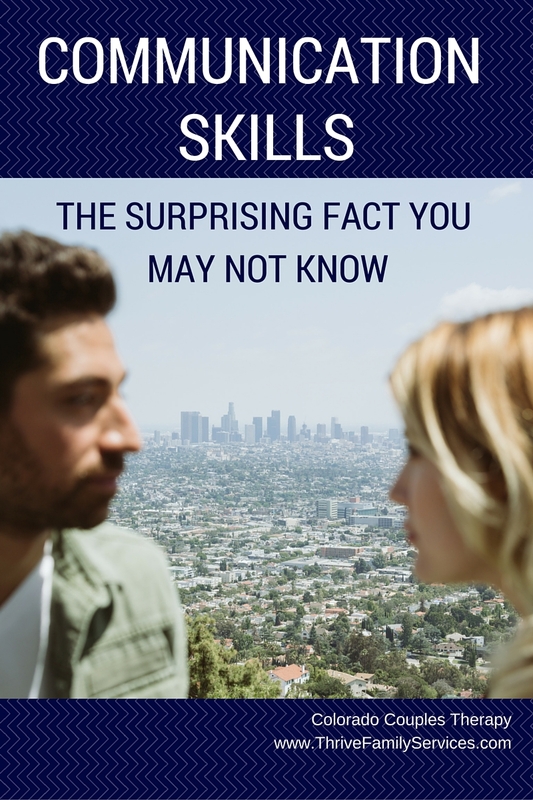 She explains why teaching Communication Skills to couples doesn’t really work, and what an Emotionally Focused Couple Therapist would help you learn instead to truly get at the root of the distress in your relationship for a closeness and happiness that will last. In summary, most people struggle to access those communication skills in the moments where they need them most. The research shows that there is no evidence that couples taught communications skills actually use them in most of their interactions. If you’re interested, read more from relationship expert and Emotionally Focused Couples Therapy founder, Dr. Sue Johnson, about why communications skills are NOT the key to a happy relationship. So, what can we do to really improve our communication? 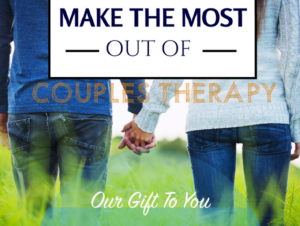 Emotionally Focused Couples Therapy is a research-based method of helping couples get to the root of the issues, making changes that will last long after your therapy has ended, and help you even in those moments when you’re having a huge fight or feel really disconnected. Call Marta Kem, LMFT at 303-898-6140 for Westminster, CO couples counseling. Denver Tech Center Counselors specializing in Couples Therapy, Marriage Counseling, Pre-Marital Counseling, and Individual Therapy for Relationship Issues. Thank you for interviewing me Allison. It is always a pleasure to work with you. One of my instructors at Denver Family Institute once said “It is not that we have problems with communication…..we just don’t like what we are hearing.” That resonated with me especially since what we often communicate to our partners is complain, demand or accusation. It is so encouraging to know that in EFT, we help people truly hear each other. Likewise, Marta! I love what your instructor said, and it’s so true. Couples are often trying desperately to communicate, and indeed, they are saying a lot usually through their words, body language, tone, facial expression, etc. When they can access all their feelings, and put them into words in a way that can be heard, magic happens, doesn’t it? Your article doesn’t get into the details if your therapy techniques other than to say “get to the root of the issues”. In individual counselling, we can get to the root of our issues with the help of a therapist and a great deal of individual work and introspection. But with couples, it’s that much more complicated because we are dealing with the root issues of two people and how those issues play themselves out in the couple’s interactions. Unless an individual has an unusually high degree of self awareness, robust communication is essential because neither individual can solve the ongoing issues alone. It is a team effort and requires excellent rule based communication, otherwise no further progress can be made. Couples can use a safe forum like CouplesCom smartphone app to help them master the techniques and help keep the communication robust long after counselling has ended. Hi Dan. Thanks for visiting and reading my post! We know from brain research that when our most important relationships feel threatened, we cannot access the part of the brain, the prefrontal cortex, where rule-based communication might be learned. I love the idea of using technology in those tough moments to help our brains in a situation where we might normally get stuck. I agree 100% that it is more complicated with couples. In Emotionally Focused Couple Therapy, we help both individual and couple to uncover and share the more vulnerable emotions each experiences. In this way, we create experiential opportunities for people to be moved by what their partner is sharing, rather than the reactivity and defensiveness that usually occur at home. The brain then, attunes and empathizes via our mirror neurons and calms the amygdala down. We can literally *hear* each other better and more once our amygdala stops hijacking those moments. When couples have successfully completed Emotionally Focused Couple Therapy, their brains have changed for the better and remain so long after the counseling has ended. They also then know their negative cycle very well and have successfully interrupted it to repair the rupture many times. Each partner then becomes the other’s best tool for communication in those moments becaue they understand at a deep level how they and their partner gets triggered and what each needs in those stuck moments. Check out my article on my other blog about the amazing brain research done with EFT couples. 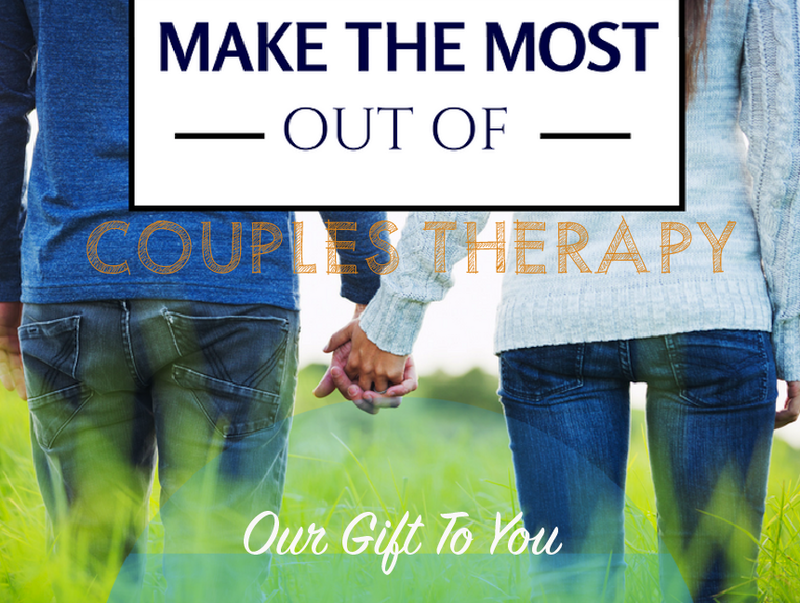 As you can probably tell, I’m passionate about helping couples using this research-based method of couples counseling, EFT. However, the magic I am priviledged to experience in my office with couples who are improving at the root of their issues is all the research I need. Please feel free to stop by regularly with any thoughts or questions about how I help couples.